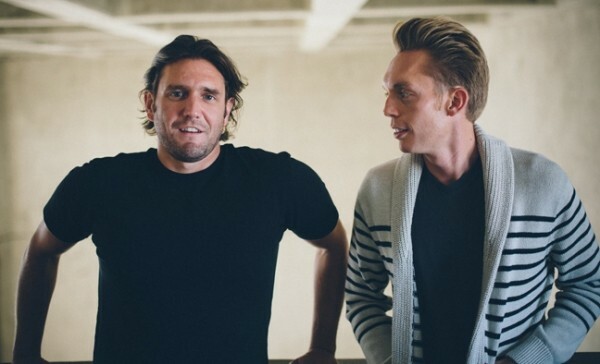 Ryan Nicodemus, along with childhood friend Joshua Millburn, are known by followers as The Minimalists (TheMinimalists.com). In their new book, Everything That Remains, the two bloggers write about their journey from suit & tie corporate guys with big houses and shiny new cars to a life adhering to minimalism. Nicodemus and Millburn will be passing through Salt Lake City on their 100-city worldwide book tour to discuss how to de-clutter your life and make room for what really matters. The free presentation, Q&A and book signing will be at Weller Book Works (607 Trolley Square) on Tuesday, April 15, at 7 p.m. Nicodemus (left) shared with City Weekly how he found greater happiness after a radical breakaway from the material world. How did having possessions make you unhappy? Well, it’s not the possessions themselves that made me unhappy. It’s really about where my energy was, my focus in life. That is what I found brought me unhappiness. If you were to tell my 18-year-old self what my 28-year-old self was going to have, I would have been the most excited 18-year-old. I would have thought, “Wow, I’m going to be the happiest guy ever.” Once I got everything I wanted, instead of happiness it brought me stress, it brought me discontent, it brought me anxiety, it brought me debt, heaps of debt. I was miserable. And I got to this point where I didn’t know what was important anymore. Here I was with a nice 2,000-square-foot condo—three bedrooms, two bathrooms, two living rooms ... I have no idea why a single guy needs two living rooms, but I had it. And I bought a shiny new car every couple years. I was living this thing called the American dream. And I wasn’t happy and it was really confusing for me. I didn’t know what was wrong with me. I felt ungrateful, I thought maybe I just didn’t appreciate what I had. But really, what I found was I just didn’t know what was important anymore. How did you get started in minimalism? I unpacked for 21 days, just the things that brought me joy or added value to my life. And after three weeks, I had 80 percent of my stuff still packed in boxes. That was kind of my second light-bulb moment. Here are all these things, all these possessions I have acquired to make me happy, and 80 percent of them weren’t doing their job. So I donated or sold everything and I really started to change my focus on how I was living my life. Minimalism is a tool that helps you to question the things that you have in your life, to really look at what adds value. Where’s my time being spent? Where’s my money being spent? It’s a really nice way to help get the clutter out of the way to make room for what’s truly important. So, what is truly important? We write about it in Everything That Remains. We focus on five things we both agree are the most important things in life. The first is health. I find that when I’m unhealthy, I’m depressed. Unhealthy equals depression. The second thing is relationships. For so long, I neglected the most important relationships in my life. My mom lives a half-hour away from me, and I only saw her five or six times a year—major holidays, birthdays, maybe an occasional pop-in visit. I was spending all my time with future clients, people I needed to network with to get into different companies in the city, or hanging out with people who were gonna help me get the next promotion. I was spending time with people who really weren’t the most supportive people in my life. And I started to rethink the way I was treating my relationships. The third thing we talk about is cultivating some type of passion: doing something for yourself on a regular basis. It is so hard to get up, go to work, go to lunch, go back to work, come home, watch TV ... you get in this a 9-to-5 cycle. There’s nothing wrong with working a 9-to-5 job. We all have to work to pay the bills. Not everyone can start a blog, or not everyone is passionate about writing to write books. But where the discontent comes into play is just slacking off and being lazy. I told myself it was OK that I spent 10 hours watching TV. I deserve it; I work all week long. When you dedicate your life to just your job, and the weekends to downtime, it’s very hard to live a meaningful life. So we really encourage people to cultivate a passion, some type of hobby, and do something for yourself on a regular basis. The last two things we focus on go hand in hand: growth and contribution. Every single person—you, me, everyone—we all have this intrinsic desire to grow. Josh and I found that we grow the most through contributing to others. Why do you say the standard self-help advice to “follow your passion” is bad? The problem with the advice to follow your passion is, first off, it presupposes that you were meant to do one thing. The truth is that we were meant to do many things. It’s just bad advice because it really pigeonholes you into doing only one thing. I think the better advice is cultivating a passion: Find something that you’re interested in, and maybe you are passionate about it and pursue that thing—but don’t think that you have to just follow one particular thing. The other issue with it is that it presupposes that everyone knows what they’re passionate about. Not everyone knows what they’re passionate about. Starting with an interest, starting with a hobby and going in that direction, you’re going to have a better result. And you’re going to feel better about yourself, because you’re not just focused on one particular aspect of life. You get to try out many different things. What was the reaction from friends and family after you made this radical lifestyle change? It’s funny, when you call yourself “The Minimalists” you really find out quickly who your friends are. Living in the thick of it and working in the thick of it, where people were solely focused on a better job title, or a bigger house, a bigger car ... people push back a little bit. I find when people push back they have this feeling of being judged. At the end of the day we certainly don’t judge. These are journeys that we decided to take to help ourselves. This isn’t about telling people what they should and shouldn’t do. I’ll tell you a story about my mom. She called me up like a month after we started the website, and she’s like, “What is this minimalism crap? Does this mean I can’t buy you things anymore?” Her and I have always had this thing where I didn’t want her to spend money on me, because every time she bought me something it was like, you know, cufflinks—a $50 pair of cufflinks. I’ve never worn cufflinks in my life. Actually, I wore cufflinks to my senior prom—that was it. I’m like, “Mom, I love you, but I’ve always asked you not to spend money on me. Save your money, give me your time. Your presence is the best present you can give me.” She’s like, “Well, I’m your mother, I’m going to buy you things regardless.” Which I suppose she has that right to do as my mom. I said, “OK, well, if you want to buy me things and I can’t use them, I’m going to have to find someone who can use them, or donate them.” Not good things to say to your mother, by the way. “Well, if you really want me to be happy, I need your support on this. I’m not asking you to change your lifestyle. I’m not asking you to change anything crazy with your life. I’m just asking you to please support me in this journey.” And that really went through and touched her heart. What’s the myth of keeping up with the Kardashians? Well, the problem is not consumption. The problem is compulsory consumption. The problem is that you will only be left wanting. Compulsory consumption is something that is promulgated throughout the country that causes people to fall into debt, into misery; it’s almost collapsed this economy. So our message we’re trying to get out there, if I had to sum that up, is we really just want to help people to understand that you should love people and use things, because the opposite never works. Everything That Remains goes back to getting the clutter out of the way to make room for everything that remains. And everything that remains is a really beautiful thing, once you look at it. There’s a lot to accomplish after you get the rest of the clutter stuff out of the way. Will I be happier if I get rid of my possessions? Josh and I have two very different stories, two very different recipes, and we’re not out proselytizing or trying to convert anyone to minimalism. I don’t think you can convert anyone to minimalism. It’s just us saying here’s what we did, here’s how we were able to re-prioritize our lives, here’s how we were able to really find meaning. People come out to hear our story, and they come out to just kind of take different ingredients from our recipe.